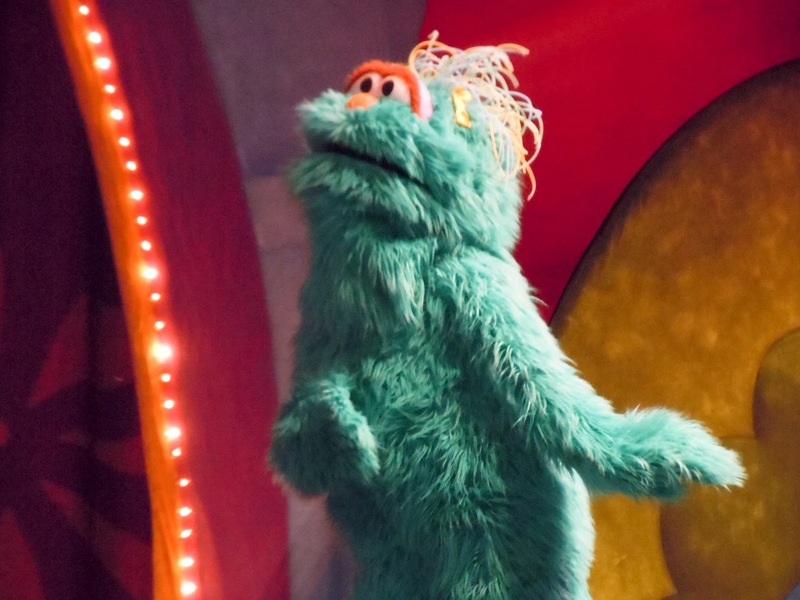 I'm not quite sure what it is about furry puppet monsters that is the equivalent to crack for children, but Sesame Street has claimed the love of another toddler residing in our house. 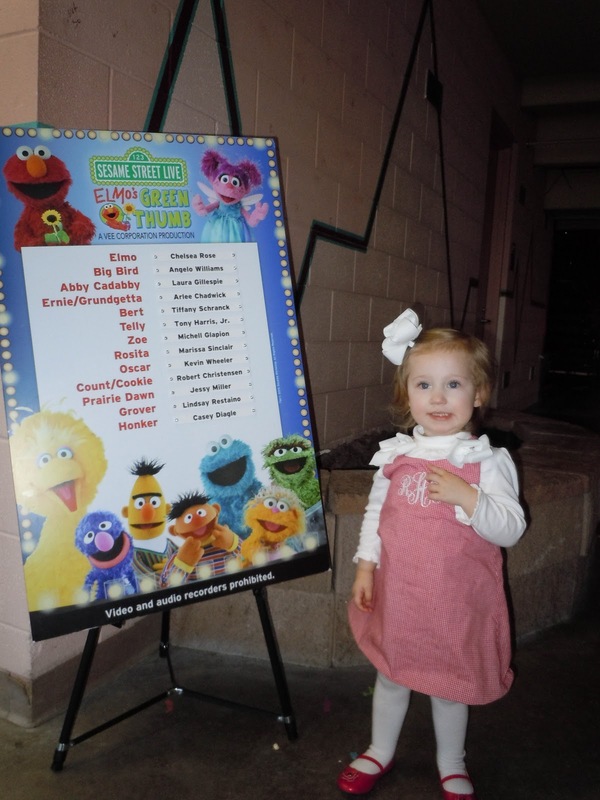 Ruby fell in love with Elmo the second she saw him; she has an almost equal adoration for Abby Cadabby, Zoe, Cookie Monster, and Big Bird. 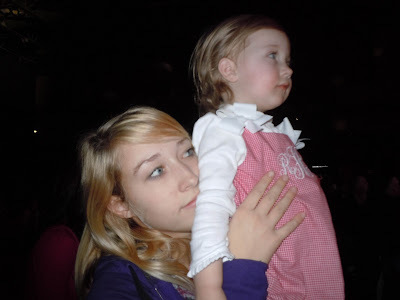 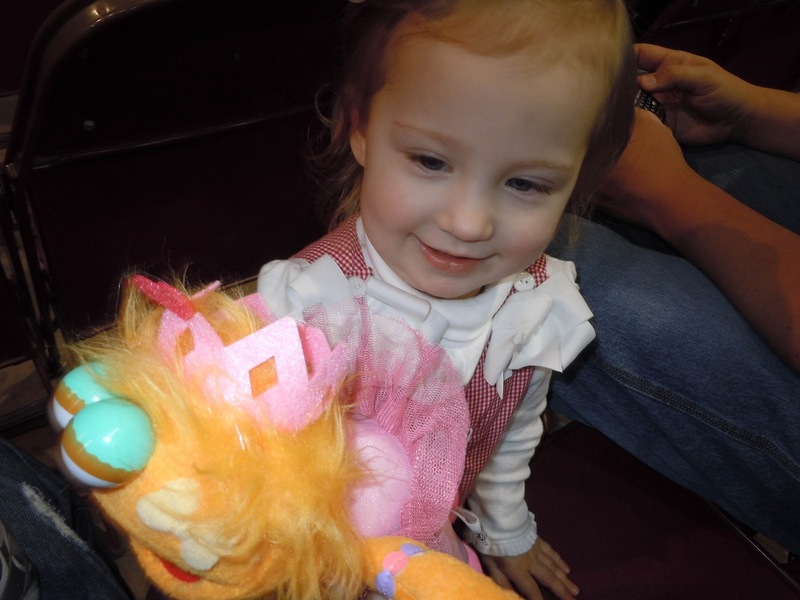 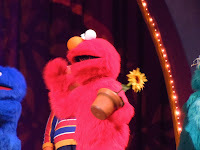 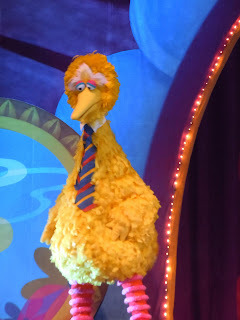 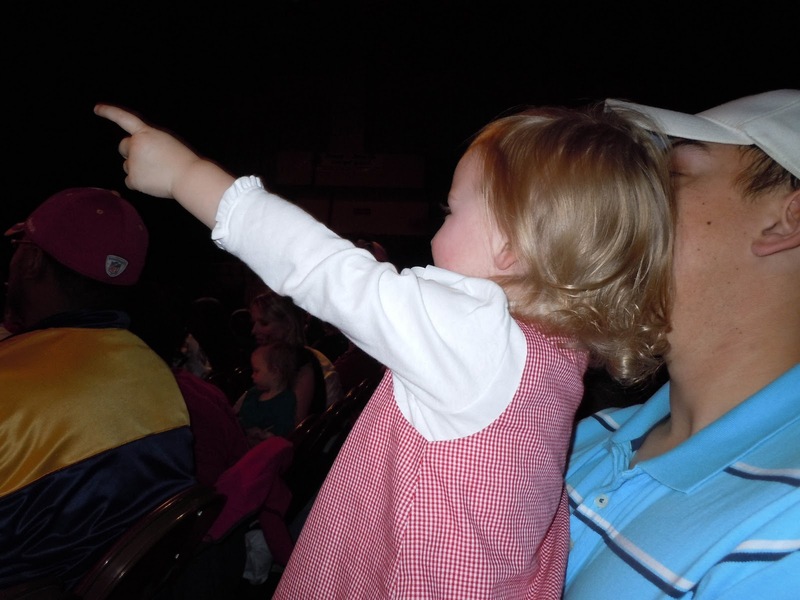 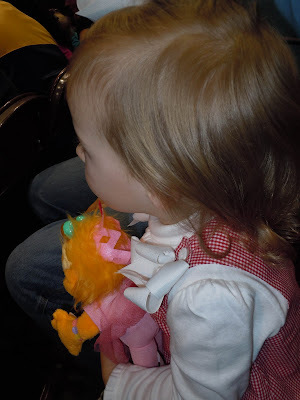 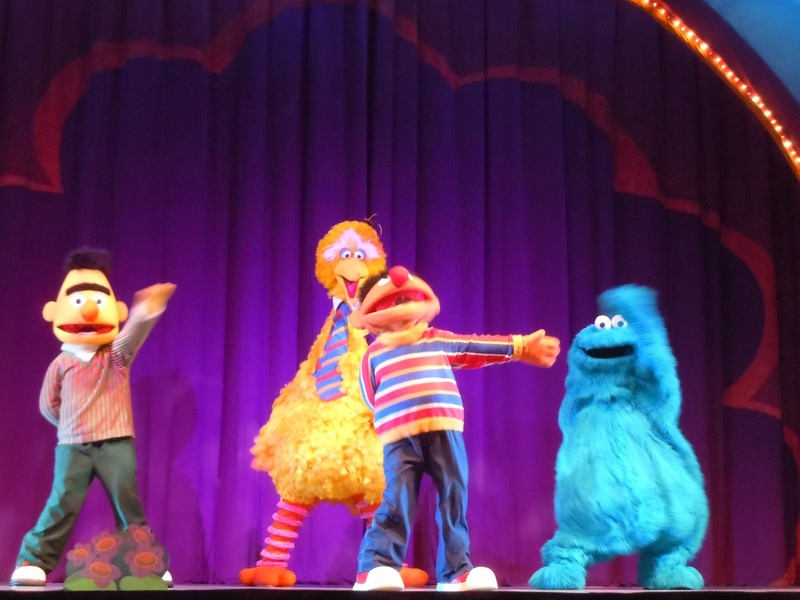 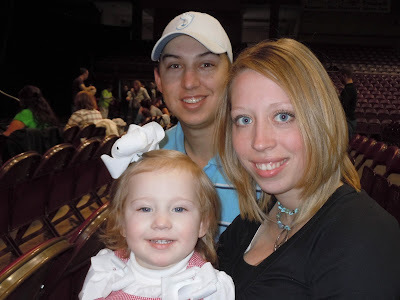 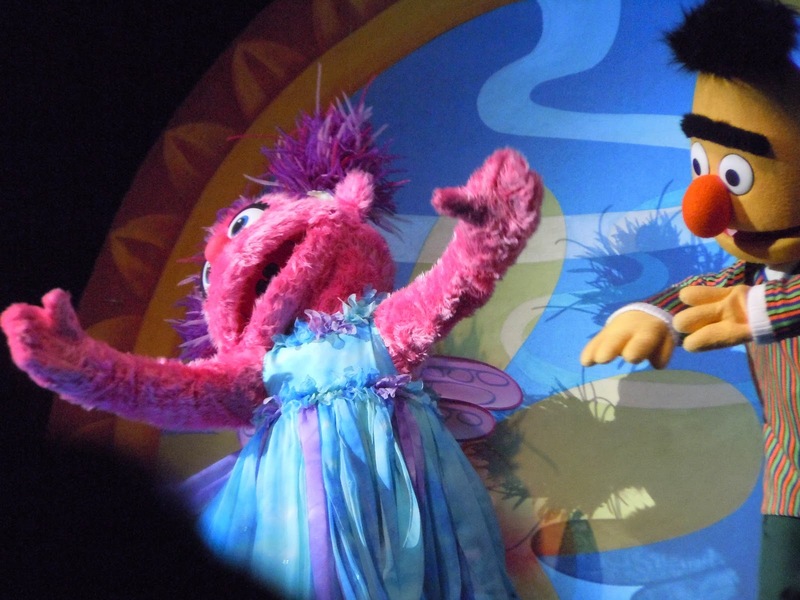 That's how we found ourselves at the nearest Sesame Street Live production on Sunday evening. Surrounded by screaming children, ten dollar Elmo balloons, and a whole bunch of parents wearing Sesame Street attire, I wondered silently if it would be worth it. 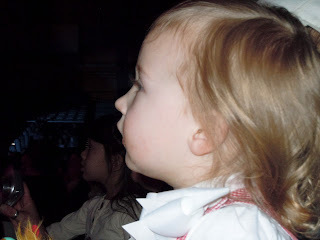 The look on Ruby's face as her idol muppets took the stage and sang and danced was unbelievably amazing to witness. And just like any true groupie should, she sang, danced and seemed borderline obsessive about her favorite characters. 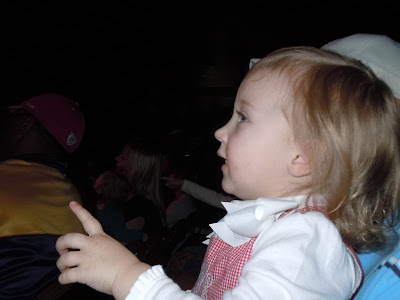 Aunt Moo was lucky enough to experience the singing furry monsters with us. She spent the entire show just glued to the stage; we were in the fourth row, right in the middle and it was a perfect experience. Hearing her yell HI! 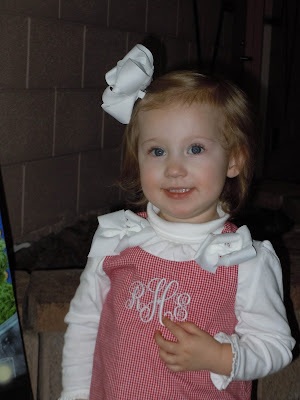 to each individual character, watching her little blue orbs sparkle with joy and her entire face light up with an excited smile is something I will never forget. 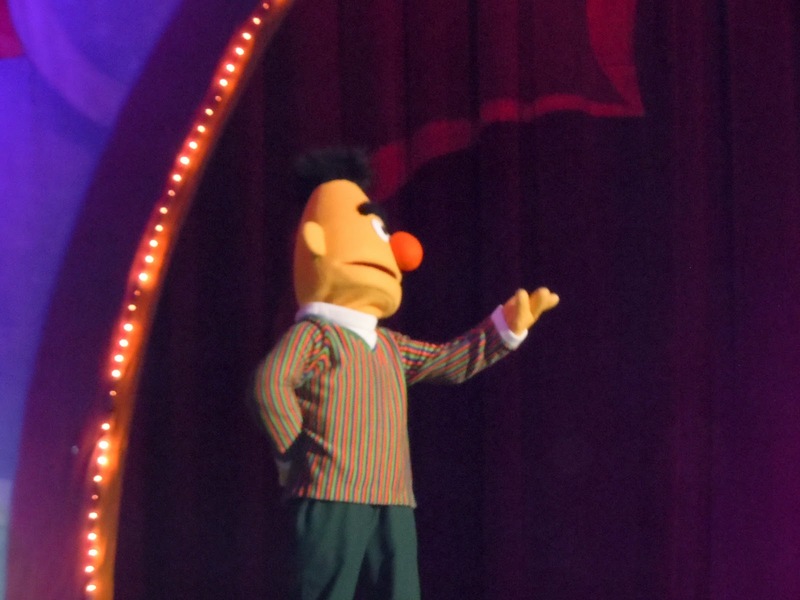 Fan girl also got to reach out and touch Bert.